Marie Fyodorovna is my absolute favorite Romanov — really, she’s my role model. The life of Dowager Empress Marie Fyodorovna (1847-1928), mother of the last Tsar of Russia, Nicholas II, and sister of Britain’s Queen Alexandra, is the story of a real-life Cinderella, who ended her days in exile: as the last remaining symbol of the Russian monarchy, devastated by Russian Revolution of 1917. Princess Marie Sophia Fredericka Dagmar of Schleswig-Holstein-Sonderburg-Gluksborg, known always as Princess Dagmar, was the daughter of Prince Christian of Denmark, who became King in 1863. Dagmar and her brothers and sisters grew up in relatively modest circumstances for a royal family, and even after the accession of their father, the Princesses did much of the housework themselves: not skills they would need in adulthood. European politics in the Victorian and Edwardian eras, was largely a matter of keeping fights breaking out amongst a large, far-flung, and cantankerous family, and the referee was “The Uncle of Europe,” Edward VII, who skillfully massaged the complex family ties forged by his parents, Queen Victoria and Prince Albert, between their children and the scions of the reigning houses of Europe. These alliances had a decidedly Germanic bent: Edward’s older sister, Princess Vicky, mother of Kaiser Wilhelm II, married the heir to the Kingdom of Prussia; their younger sister Alice married the Grand Duke of Hesse-Darmstadt and produced Princess Alicky, who married Nicholas II of Russia. 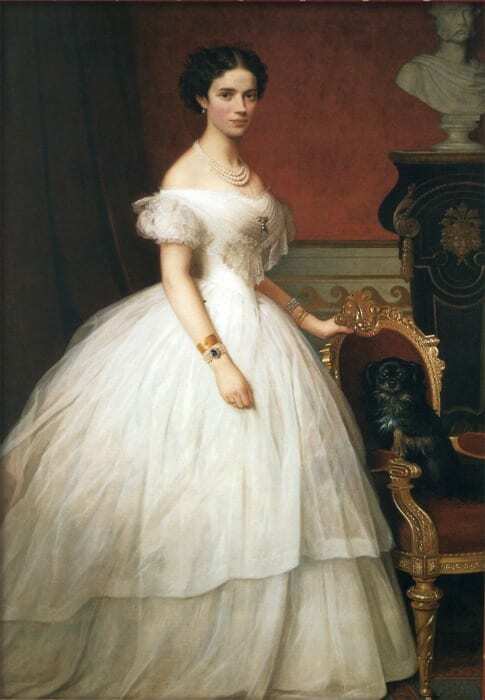 For Edward, however, Victoria and Albert wisely made an aesthetic, rather than a political choice: Dagmar’s older sister Alexandra, the most beautiful princess in Europe, became Princess of Wales in 1863. Daughter of the King of Denmark, sister of the Princess of Wales, Dagmar’s prospects as a potential royal bride increased. While not as classically beautiful as Alexandra, she was nevertheless pretty and lively, and it was not long before royal suitors began to pay court, and none more ardently than Grand Duke Nicholas “Nixa,” the eldest son and heir of Tsar Alexander II of Russia. Events took a tragic turn. The following year, Nixa, whose health had always been delicate, collapsed in Nice. Dagmar raced to join the Imperial family at his deathbed, where, according to accounts, Nixa begged her to marry his younger brother Alexander, now the heir. Dagmar eventually agreed in 1866, transferring her affections from romantic and ethereal Nixa, to his more down-to-earth, robust, solid, and stubborn Alexander. Dagmar’s story captivated all of Europe, and would later be the main precedent paving the way for the marriage of Edward and Alexandra’s son, George, Duke of York (later George V), to his deceased brother’s fiancée, Princess May of Teck (later Queen Mary) in 1893. Dagmar, who was formally known as Marie Fyodorovna, threw herself into Russian life with gusto. 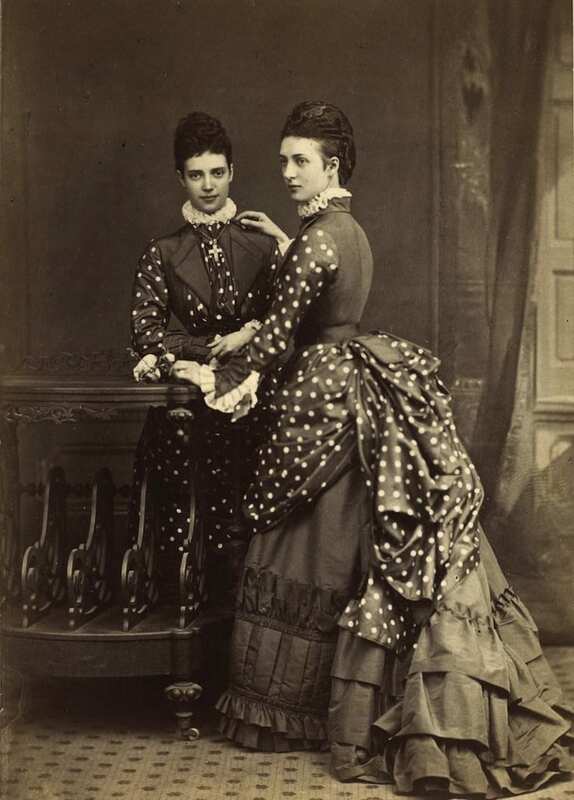 She lived in The Anitchkov Palace on Saint Petersburg’s main thoroughfare, Nevsky Prospekt, and as Grand Duchess, she was at the center of Russia’s opulent social life, frequently called upon to deputize for her delicate and sickly mother-in-law, the Tsarina. Childbearing, which seemed to exhaust the Princess of Wales, only increased the Grand Duchess’s robust good health. 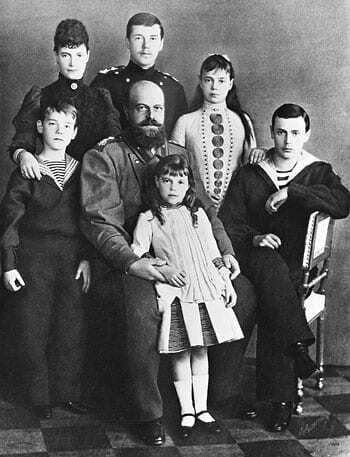 Nicholas was born in 1868, followed by Alexander in 1869, who died in 1870, George in 1871, Xenia in 1875, Mikhail in 1878, and finally Olga in 1882. In 1881 Tsar Alexander II was assassinated when members of the revolutionary group, “The People’s Will” threw a bomb in his open carriage, and he bled to death that afternoon in the Winter Palace. For the new Tsar and Tsarina, security became a primary concern, and they moved to the suburban estate at Gatchina, where entire regiments of soldiers and plain-clothed policemen surrounded them. The Imperial Family found respite from these taxing security measures during the relaxed autumnal visit to the Danish Royal Family at Fredensbourg. 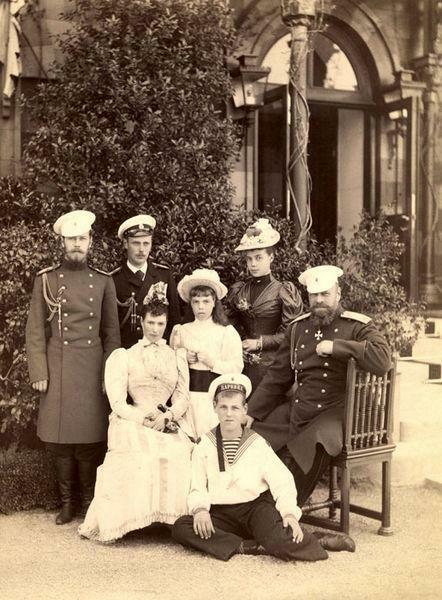 The informality of Fredensbourg enhanced the close ties of the Waleses and the Romanovs. Their children were good friends, and much was made of the astonishing resemblance of the future George V and Nicholas II, who were often mistaken for one another. Chancellor Otto Bismarck of Prussia regarded these largely apolitical gatherings with much suspicion, concerns he shared with his protégée Prince Wilhelm, the future Kaiser. The seeds of conflict were sown. Marie Fyodorovna spent much of the early 1890s fretting about her husband’s health, and her children’s marriages. 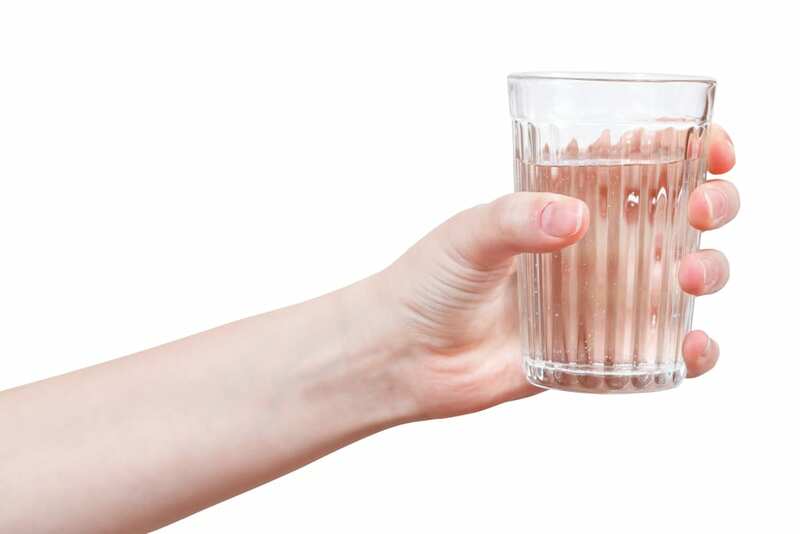 Alexander III was diagnosed with nephritis in 1894 and proved a difficult patient. Nicholas, a lackluster heir to the throne, was determined to marry the sullen, shy Princess Alicky of Hesse-Darmstadt, despite his parent’s objections, and her reluctance to convert to Russian Orthodoxy. Nicholas finally wore Alicky down in May of 1894, and with Alexander’s health failing, the Tsar and Tsarina gave him their blessing. In the autumn, the Tsar died in the Crimea, where the family gathered, including Nicholas’s fiancée, who was ignored in the chaos. Marie Fyodorovna was now Dowager Empress and returned to her beloved Anitchkov Palace. Relations with the new Empress were not easy: egged on by the Princess of Wales, Marie Fyodorovna refused to hand over the crown jewels and insisted on retaining precedence over Nicholas’s wife at State occasions. The rift deepened. Empress Alexandra retreated to the suburban Alexander Palace, obsessed by her only son’s hemophilia and her growing religious fanaticism. Marie Fyodorovna ruled once again supreme at the heart Saint Petersburg’s glittering society. It was not to last. In 1914, Russia, woefully underprepared declared war on Germany. Marie Fyodorovna spent much of the war in Kiev, where she received the devastating news in 1917 that Nicholas II had abdicated on behalf of himself and his son, Alexis, in favor of the Tsarina’s youngest son, Mikhail. Marie Fyodorovna hurried to Mogilev to join Nicholas, where they learned that Mikhail had himself renounced the throne, signaling the end of 304 years of Romanov rule in Russia. Marie Fyodorovna left on her train to return to Kiev. She would never see either son again. In early April of 1919, Marie Fyodorovna, accompanied by her two daughters, their families, and her household, left Kiev for the Crimea. In April of 1919, as the Red Army pushed closer to the Crimea, the British Government, badgered by Queen Alexandra, ordered HMS Marlborough to evacuate the Dowager Empress and her family. 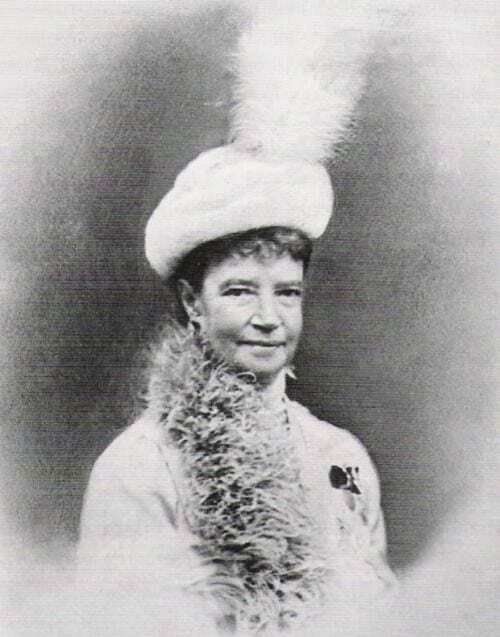 Marie Fyodorovna refused to leave unless the Marlborough also took the refugees. 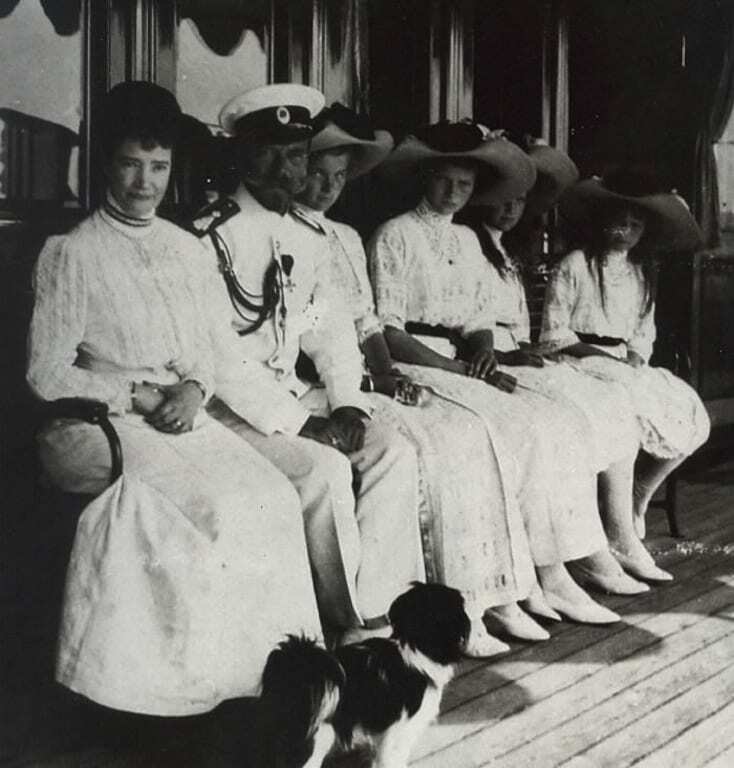 Captain Charles Johnson wavered, but finally relented and only after all of the refugees and their belongings had been loaded, would Marie Fyodorovna agree to board. Marie Fyodorvona initially settled in England, where she lived with Queen Alexandra at Marlborough House, but later resettled in her native Denmark. To her dying day, she refused to believe the increasing evidence that Nicholas and his family had been killed in Yekaterinburg, she never acknowledged any successor, and refused to meet any of the claimants, purporting to be her granddaughter Anastasia. 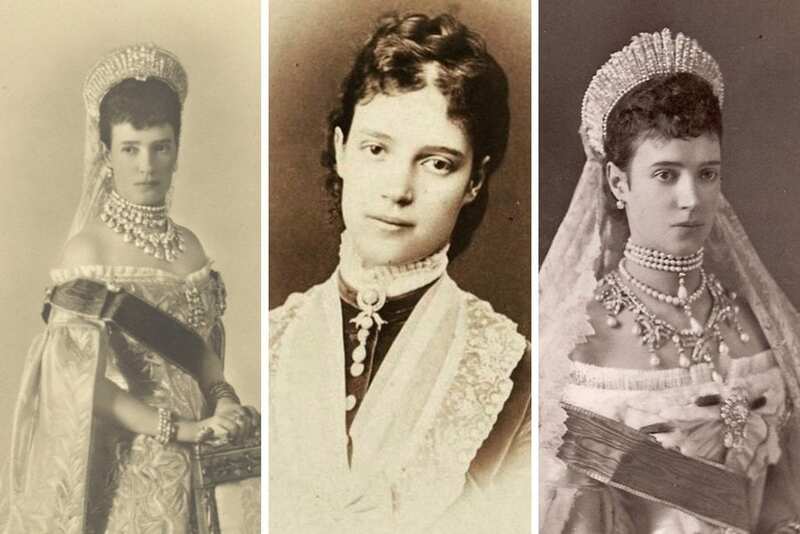 Marie Fyodorovna died in 1928, and the tattered remains of Russian nobility joined European royalty gathered to bid farewell to the last remaining link with Imperial Russia. Her remains were interred in Roskilde Cathedral, the traditional resting place of the Danish Royal Family, but in 2006, her coffin was returned to Russia, via the same route the young Princess had taken 140 years earlier, and she was laid to rest beside her husband, Alexander III in the Peter and Paul Fortress. The best book about Marie Fyodorovna is Little Mother of Russia by Corynne Hall, but Marie gets lots of coverage in the admirable work of historian Julia Gelardi, From Splendor to Revolution. Marie is a major character in the critically-acclaimed television series about Edward VII, Edward the King. In it, Marie is portrayed very well by Jane Lapotaire, who manages to capture Marie’s charm and ebullience, as well as her clear-sighted understanding of the troubles that are coming.